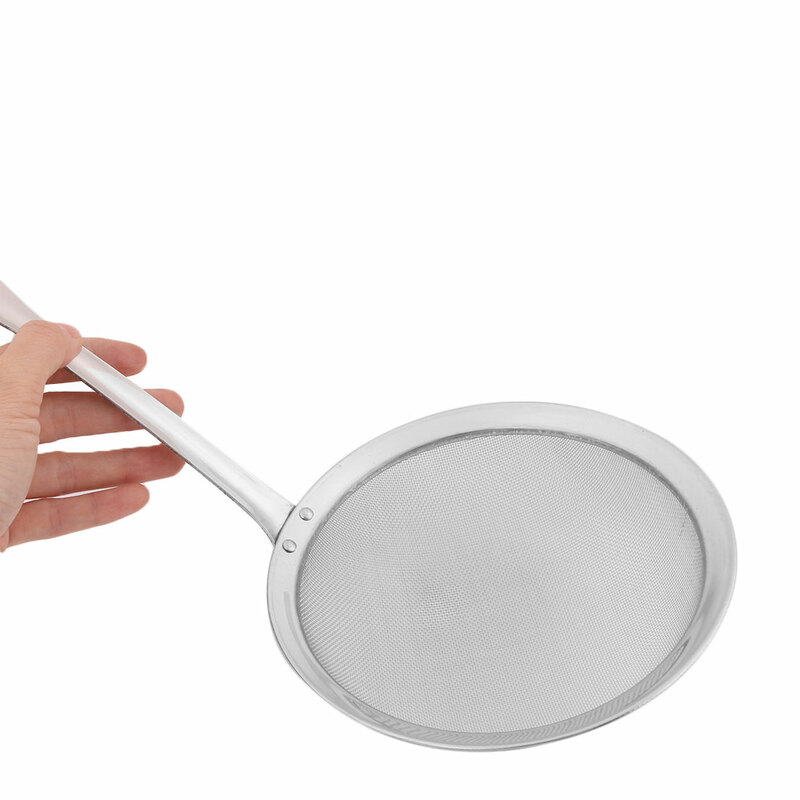 Stainless steel material ladle strainer, easy to clean, great for home restaurant kitchen and catering industry use. Mesh designed make you more safe and comfortable to use. You can hang it on the wall to keep clean and dry. It is durable and convenient to gain the dumplings, fried foods and other vegetables from the water or oil.